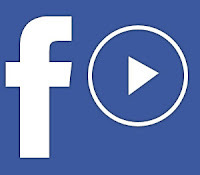 Many of us look for softwares and apps to download Facebook videos. But you can do this with just your web browser - Google Chrome, Firefox, Safari or any other browser you might be using right now. 1. Look at the address bar of your browser and change the www to m.
2. The mobile version of the Facebook video will load. Play the video. 4. Change the file name of the video if you like and choose where you want to save it then click Save. That's it! You've just downloaded a Facebook video without installing any additional software or using another website.